The ILSI Annual Meeting was held January 20-25 in La Jolla, California, United States. 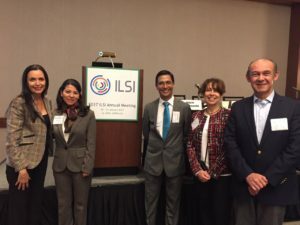 During this meeting ILSI Mesoamerica had an outstanding participation in several sessions where project advances were presented, as well as in the poster session. If you want to know the poster presented at the annual meeting you can see it here. 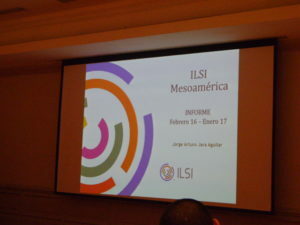 ILSI Mesoamerica held its Ordinary General Assembly on February 9 at the Hotel Real Intercontinental, for more details you can see it here. 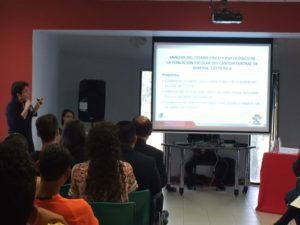 The Human Movement Committee officially presented the REDCIMOVI project, which will be a network of researchers from Central American universities. ILSI Mesoamerica is pleased to present its two new partners: San Carlos University of Guatemala (USAC) and PepsiCo. To know more about ELANS you can see it here. 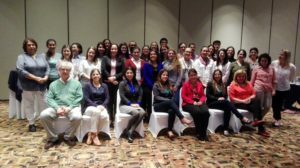 The Human Movement Committee, through its REDCIMOVI project (Central American Network for Applied Research in Children and Adolescents in Human Movement and Health), held its First REDCIMOVI Meeting at the facilities of the National University in Costa Rica. The objective of this event was to coordinate a technical way each one of the investigations that will be carried out in each member country of the Network. ILSI Mesoamerica is pleased to present its two new partners: Technological University of Panama and Florida Ice & Farm Co. (FIFCO). 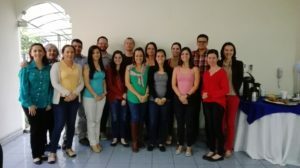 The Risk Analysis and Biotechnology Committee carried out the II Risk Analysis Workshop for the Sanitary Interest Products Regulation Unit of the Ministry of Health of Costa Rica. 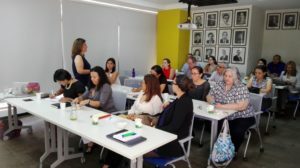 ILSI Mesoamérica through the Cooperation Agreement signed with the Ministry of Economy, Industry and Commerce (MEIC) conducted a training session on the topic of endocrine disruptors to the National CODEX Commission of Costa Rica. ILSI Mesoamerica welcomes DSM Nutritional Products as a new industrial partner, and we announce the new cooperation agreement with the National High Technology Center (CeNAT) and with special attention to the Nanotechnology Laboratory (LANOTEC). The Risk Analysis and Biotechnology Committee carried out the Course on Risk Analysis Applied to Allergens. 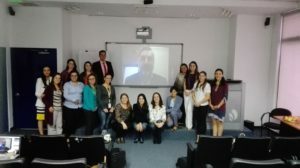 It was attended by professors from INTA and INTI from Argentina, Mondelēz International from Argentina, CITA-UCR and from a Clinical Allergist. 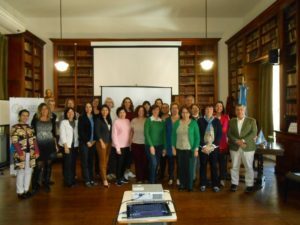 In Buenos Aires Argentina, the Annual Meeting of ILSI subsidiaries took place in Latin America, with the participation of all the Latin American affiliates, ILSI Global and the ILSI Research Foundation (ILSI Research Foundation). 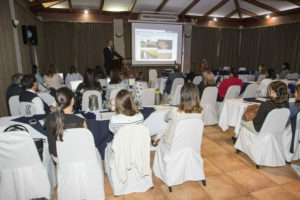 The Nutrition and Food Technology Committee held the first Food Fortification Foundation Workshop thanks to the cooperation of DSM Nutritional Products. For this occasion, Hector Cori, Scientific Director for Latin America of DSM, participated as the main speaker. 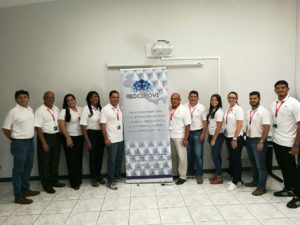 ILSI Mesoamerica had the pleasure of being one of the sponsors that made it possible for the students of the Technological Institute of Costa Rica to attend this innovative event of positive impact for the Region. 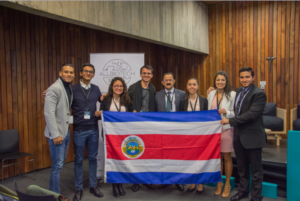 The First Latin American Summit of young leaders in Biotechnology, Allbiotech, took place on October 12 and 13, 2017. This was the first summit of its kind, and brought together 100 young people from 16 countries.